Analytical data supplied by Analytics MD reveals a comparison of all medical centers and hospitals in the United States. 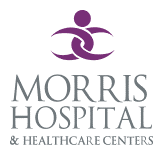 Currently, Morris Hospital and Health Care Centers maintains an overall “B+” ranking score, in the 65th percentile. The analytical website determined that the hospital’ as areas of strength include the length of time it takes patients to receive care after being admitted to the emergency department along with the level of communication between the nursing staff and patients. The smooth flow of care in the emergency department based on how quickly a patient is seen and treated helps determine the level of services provided by the hospital. Morris Hospital and Health Care Centers ranks high in all critical factors including incoming patient flow (69th percentile), discharge patient flow (85th percentile), and admitted patient flow (96 percentile. However, the ranking of patients who are frustrated after leaving the emergency department is extremely high, in the 67th percentile. That said, the patients’ satisfaction of all visits to the hospital ranks the 89th percentile for the year 2015. Perinatal II – As a Level II perinatal facility, Morris Hospital provides a high level of care to women of childbearing age who are at risk for medical complications during pregnancy. While the facility offers additional services and care, there is no neonatal intensive care nursery or special care unit. Emergency Department Approved for Pediatrics (EDAP) – The EDAP designation means that the hospital participates in the approved Illinois emergency medical system and provides optimal emergency care to children 24/7. The facility received recognition by the emergency medical services for children program in the Illinois Department of Public Health because they provide essential resources to ensure that the needs of injured and seriously ill children requiring critical and emergency care are met. Trauma Center Level II – As a Level II trauma center, Morris Hospital is required to provide essential in-house services around-the-clock and make other off-site services readily available in one hour or less. 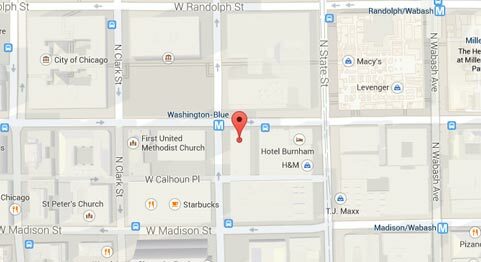 The hospital is part of the Illinois Trauma System and provides pre-hospital and inter-hospital emergency services. In addition, the hospital offers emergency medical care, subspecialty surgical care, intensive care, radiology and anesthesiology services. Facility-Acquired Clostridium Difficile Infections – 23 infections out of 15,326 Patient Days. The data reflects the standardized infection ratio of 2.77, which the Illinois Department of Public Health has determined to be statistically significantly worse than the national average. Surgical Site Infections – 1 infection out of 174 procedures involving total knee replacement surgery-associated infections. Post-Operative Lung Embolism or DVT (Deep Vein Thrombosis Clotting) – The risk-adjusted rate of 1.37 per 1000 or 1 out of 825 patients is significantly lower than the Illinois state average of 5.62 per 1000. Risk-Adjusted Hip Fracture Mortality Rate – The Illinois Department of Public Health monitors data collected by the Agency for Healthcare Research and Quality (AHRQ) on processes of care known to reduce the numbers of short-term mortality rates. Currently, the hospital's risk-adjusted rate of 30.27 per 1000 or 1 of 59 patients is significantly higher than the Illinois state average of 24.98 per 1000 patients. If you suspect the harm, injury or premature death of your loved one while they were a patient at Morris Hospital and Health Care Centers was due to medical malpractice, Rosenfeld Injury Lawyers LLC can provide immediate legal assistance. Our team of Grundy County personal injury attorneys can ensure your family receives the financial compensation they deserve. Contact us today by calling (888) 424-5757 to schedule your no obligation, free case evaluation. No upfront payment is required because we accept all personal injury cases through contingency fee agreements.